Next week the International Association of Ministers Wives and Ministers Widows (IAMWMW) will convene their annual convention in Atlanta. This year is special as they will elect a new president. 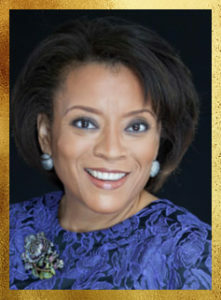 In 2010, Dr. Beverly Williams Glover was elected president and she has served the body with love, dedication and grace. She has promoted an emphasis on the clergy family and the involvement of clergy children. When the convention meets in Atlanta, one of the tasks on the agenda will be to elect a new president. Meet the devoted and qualified candidates seeking the office of president of their beloved association. Godspeed to all of the candidates running for office of the IAMWMW. And we pray the Good Lord will pour out Blessings on our beloved Sisterhood.